ELB is able to process hundred millions of concurrent connections. ELB is deployed in cluster mode and can route traffic to healthy servers in different availability zones for smooth disaster recovery. Incoming traffic is intelligently distributed to servers. Deep integration with Auto Scaling flexibly expands service capabilities.  A diverse set of protocols and algorithms enable you to configure traffic routing policies to suit your needs while keeping deployments simple. ELB intelligently distributes traffic to ensure smooth running of applications, making it the right choice for websites with an extremely large number of simultaneous requests. ELB monitors traffic and automatically scales as traffic changes. ELB is capable of processing hundred millions of connections simultaneously. ELB can distribute incoming traffic across availability zones, offering high service availability to enterprises like banks. ELB automatically scales its request handling capacity according to the incoming traffic. ELB distributes traffic to servers in multiple availability zones, and services will continue even if an availability zone becomes faulty. ELB works with Auto Scaling to balance the number of servers during promotion periods that feature sudden spikes. Servers are automatically added or removed according to changes in the amount of incoming traffic. Server health status is regularly monitored and traffic is distributed only to healthy servers, ensuring service continuity. ELB can process hundred millions of concurrent connections, making it the right choice for handling a large number of access requests. Multiple protocols are supported at Layer 4 and Layer 7, facilitating diverse application scenarios. A variety of measures ensure high service availability and quality. TCP and UDP are used to handle services with a large number of access requests, or those require high performance. Both HTTP and HTTPS are supported. Multiple encryption protocols and cipher suites are available for HTTPS to ensure service flexibility and security. ELB distributes traffic across availability zones and ensures service continuity even if an availability zone fails because of a disaster. Requests from a client for a particular session are forwarded to the same backend server to ensure that the client has continuous access. ELB automatically scales its request handling capacity and combines with Auto Scaling to improve service flexibility and reliability. Source IP addresses are used to maintain sessions at Layer 4. Cookies are used to maintain sessions at Layer 7. Auto Scaling automatically adjusts the number of servers as necessary to cope with varying levels of workload. ELB automatically scales to the incoming traffic to ensure a positive user experience. Can I Adjust the Bandwidth of a Load Balancer?